Real estate in Manhattan Beach is going through its annual late-summer burst, according to Manhattan Beach Confidential, with more than one sale per calendar day for the first part of September. Yet there's also been some odd movement in the market, with some deals falling out of escrow and other houses lingering on the market with multiple price cuts, reports MBC. According to MBC's twice-monthly market update, September marked an uptick in inventory (currently at 68 properties for sale, down from a high of 78 earlier this month). By mid-September, escrows were opening up in Manhattan Beach at a rate of more than one per day. 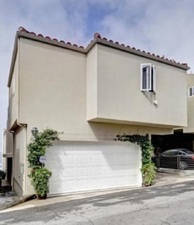 Multiple-offer situations broke out at several new listings, at 3509 Laurel (asking $1.550M; sold over asking), 1508 Highland, 1440 12th St. Unit D, 3605 Oak and others. 621 19th (3br/3ba, 2325 sqft.) 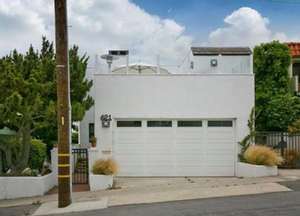 (pictured) a custom-built (in the late 70s) modern/Spanish with updates in a nice Tree Section/American Martyrs location, fell out of escrow and returned to market on Monday. (Asking $2.450M). 1750 1st (4br/3ba, 3130 sqft. ), a 1980s Tudor style home in East Manhattan with a completely refreshed interior, had lingered in "backup offer" status since July. The property is now back on market asking $1.975M, as before. 85 Bayview (3br/4ba, 2100 sqft. ), a remodeled, ocean-view townhome in a quiet spot in the South End Sand Section, made a second chop of $100K, bringing the price down to $2.699M. 1751 Curtis (5br/4ba, 3750 sqft. ), a remodeled 80s-era home in East Manhattan, made a cut from $2.550M down to $2.399M. Curious about these and other real estate trends? Visit Manhattan Beach Confidential for the latest news and market updates in Manhattan Beach real estate.